The Austrian bike maker, KTM has revolutionized the entry level performance biking with the introduction of KTM Duke 390 & KTM RC390. Now the bike maker is eyeing to add electric motorcycles in its lineup. 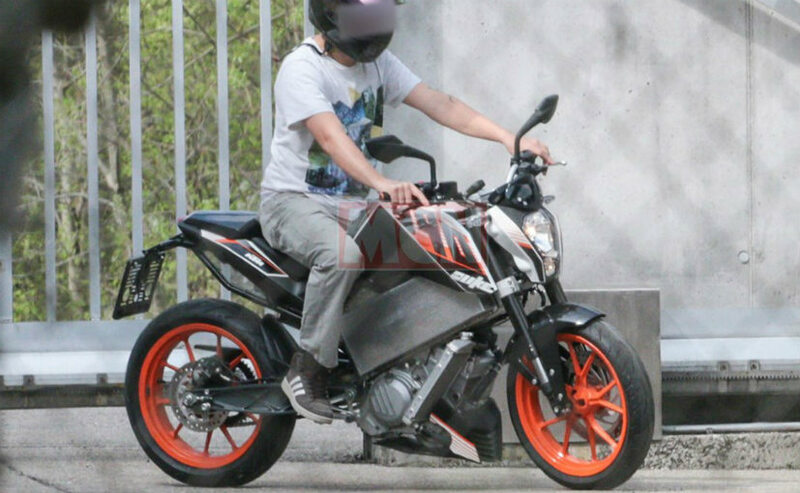 Recently, the Images of the 2016 KTM Duke 390 have been shared by Motorcycle.com, all the way from Europe. The interesting part about the test mule was the underpinned electric powertrain in the bike. As usual with every electric vehicle, the major issue is the range of the motorcycle. The radiator employment on the bike signifies that it is equipped with a battery and powerful motor that requires a large cooling system. From the images, the battery seems likely to be placed high underneath the fuel tank, while the motor destines beneath it. 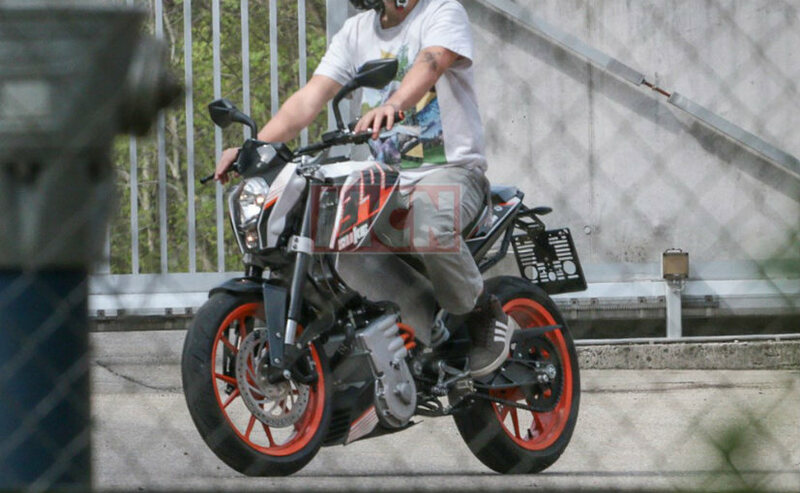 The notable thing is the Austrian company in which Indian popular giant manufacturer, Bajaj Auto has more or less 50% stake, was doing test on KTM E-Duke, the previous generation of KTM Duke 390 which simply hints that the company has been working on the technology for a long while. However, there is no official information of the launch or showcase of the bike. Chances are we could find more about the bike at the EICMA 2017.